Hop On Hop Off 1 Day Pass. 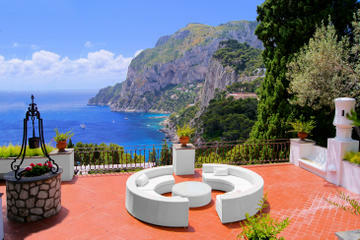 Full Day Capri Tour With Lunch. One ticket for up to three routes! Dominated by Mount Vesuvius and bustling with life, discover the colour, flavour and visible delights of this City, rich in culture. 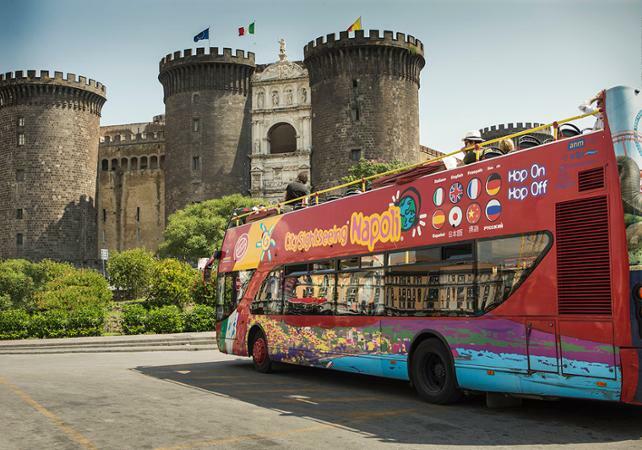 This stunning magical city of contrasts, spilling over the unique Bay of Naples, is home to City Sightseeing Napoli. Three routes allow you to savour this vibrant city, once home to the Bourbon kings, and to discover all the things to do and see during your stay. Nature lovers will enjoy a visit to Stazione Zoologica where you can admire an array of sea life or surround yourself by palm trees, aquatic plants, ferns and a wide-ranging orchard at Orto Botanico. Take time out to try a Neapolitan coffee which is made short and very, very strong. One of our drivers will . pick you up from your . 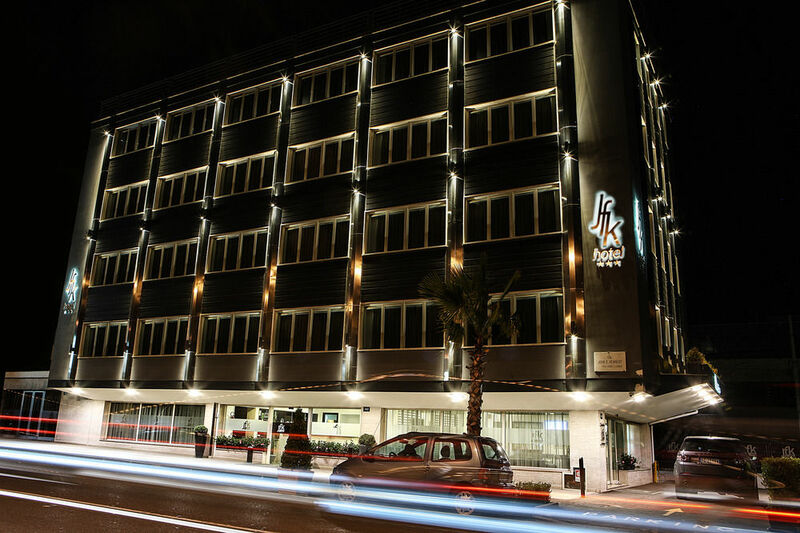 hotel or pre-agreed , meeting point and will . 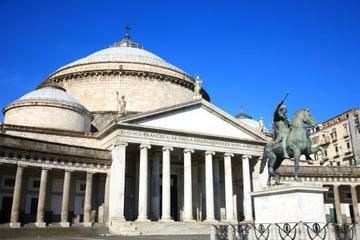 A stroll in the famous “Piazzetta”,, where you will meet , a professional guide. who will take over , from then on. You will , board on a hydrofoil and . reach the island in about . Visit to the rooftop of the famous “Faraglioni” . 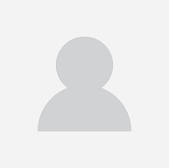 , visit of the island’s first . stop will be “Marina Grande” , then up to “Anacapri” in a funicular, on a short fun trip that will enchant you with marvelous views. A stroll in the famous “piazzetta”, the so called “lounge of the world”, “the” hang out place”, since the times of “la dolce vita” back in the 50’sand 60’s, for movie stars and V.I.P.s. Our guide will tell you all about the island and its history and will take you to the “Gardens of Augustus” and through the charming streets “via Camerelle”, “via Tregare” and the village centre. 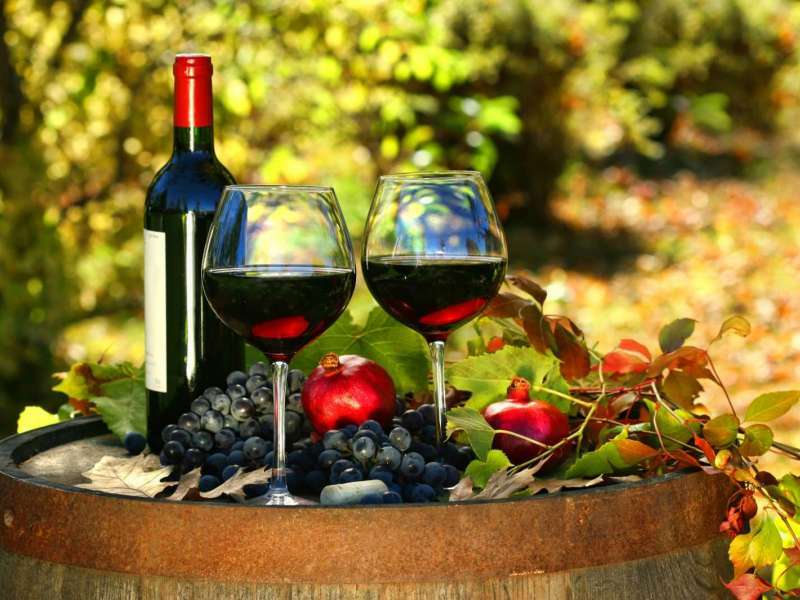 Lunch will take place at a typical, local restaurant where you will taste the local cusine’s true flavors, a pleasant and refreshing delight. The tour will then carry on to gaze at the fantastic and most celebrated views of the “Faraglioni”, sight cherished even by Roman Emperors. At the end of the visit the guide will take you back to Naples where one of our drivers will be waiting for you to drive you back to your hotel or meeting point. 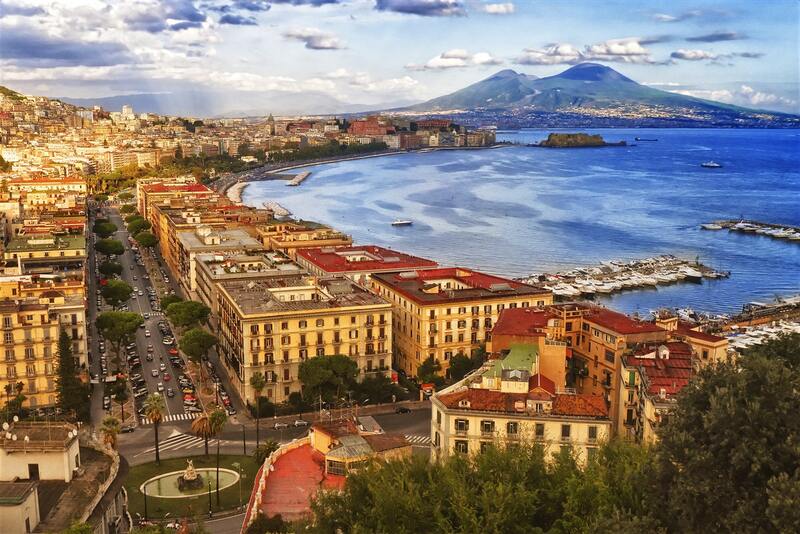 A wonderful opportunity to discover the hidden beauty of Naples. 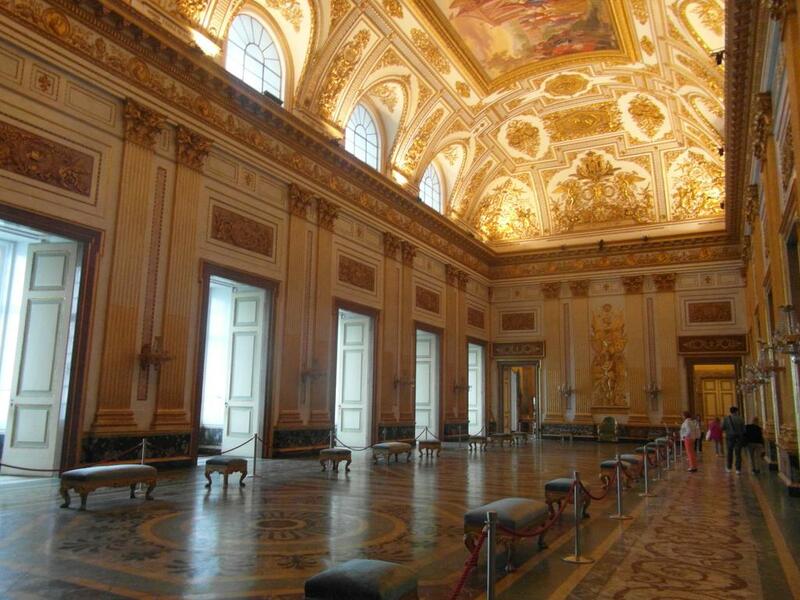 Firstly we walk through the city centre and admire Piazza del Plebiscito, the Royal Palace, the Maschio Angioino, S. Chiara, Gesu' Nuovo and Spaccanapoli. 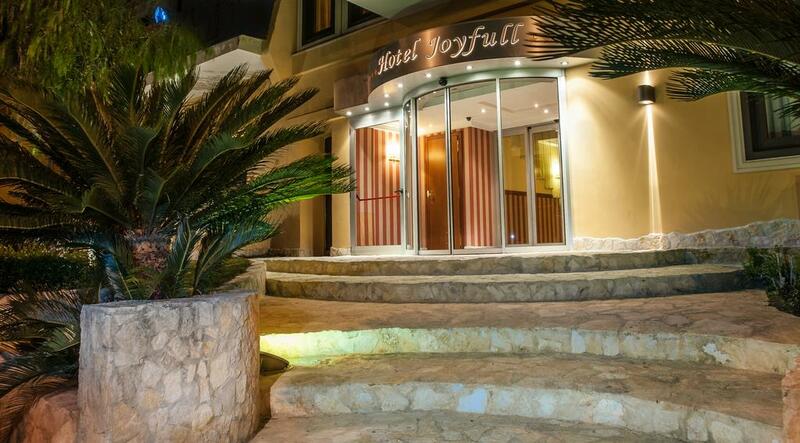 We then enjoy a panoramic tour of the city by coach, passing through Posillipo, via Partenope and Castel dell'Ovo. 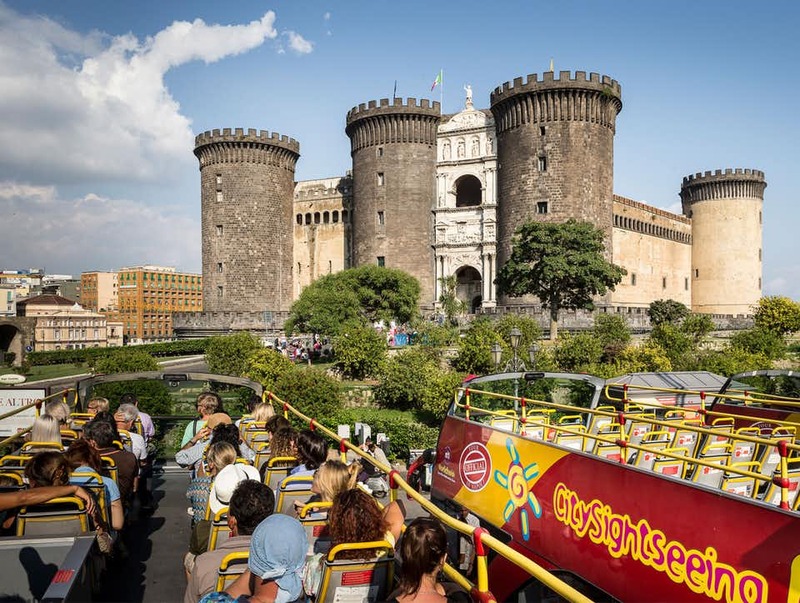 On board our red, open-top, double-decker tour buses, you will be able to discover the most beautiful and picturesque places of this magical city that is rich in history, traditions, art and breathtaking views. Our convenient hop-on hop-off formula enables you to leave any bus at any of the many stops and then later get back onboard one of the buses to easily continue your tour. 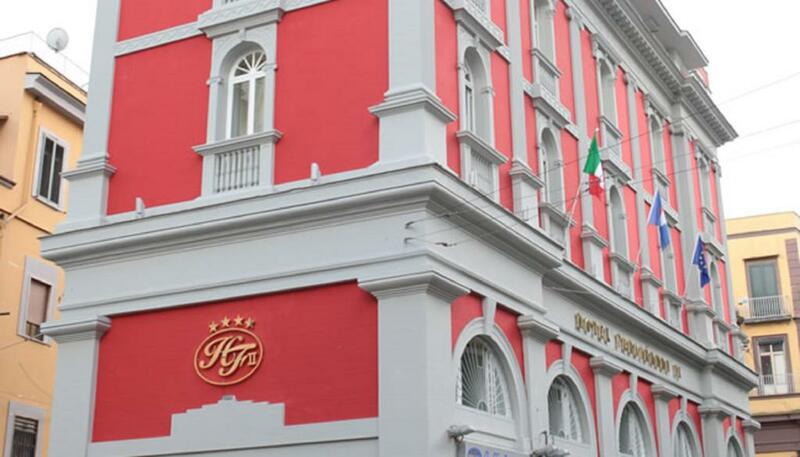 This way you can use a flexible formula while enjoying everything that Naples has to offer. Each bus a multilingual commentary system in eight languages which will not only keep you entertained, but also well informed about the city. You will hear useful and interesting history of the city, as well as anecdotes and curiosities of Neapolitan traditions while listening to background music and songs which have made Naples the Capital of a timeless melody. 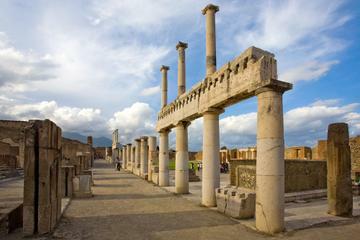 Visit the world-famous excavations of Pompei, the city buried and preserved by the Lapilli and the ashes of Mount Vesuvius erruption in 79 B.C. This is a memorable experience which offers a great insight into life in the roman city and is a must for visitors to Naples. A guided tour of vineyards to slopes of Mount Vesuvius, a stroll through the scents and flavors of the Campania Ars Vinearia. Afterwards, a Mediterranean lunch accompanied by Falanghina, Lacryma Christi, Agnianico and many other wines. After Breakfast proceed to Hop On Hop Off tour. Day 3 : Full Day Capri Tour With Lunch. 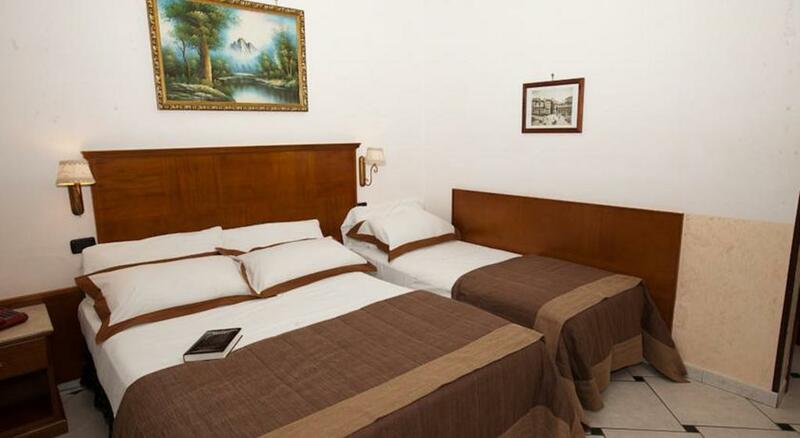 After Breakfast proceed to Full Day Capri Tour With Lunch.stay overnight at hotel.